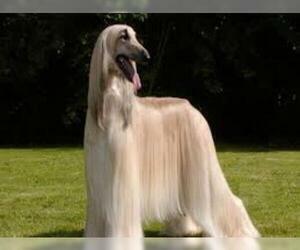 Overview: This dog is bred for hunting and makes a good pet for families with children. Does not do well with other animals, especially small animals. 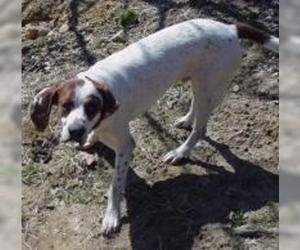 Character: American Blue Gascon Hounds are friendly dogs and hard workers when on the hunt. 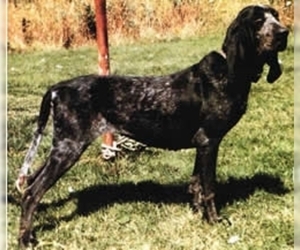 Temperament: American Blue Gascon Hounds are good tempered dogs. 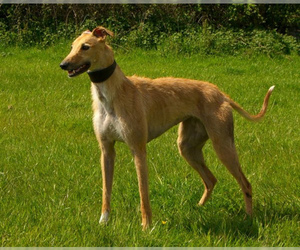 They have a high energy level and do better in larger homes with room to run outside. Care: This breed is easy to care for. The short hair only needs occasional bathing and combing. Training: Easy to train as a pet or a hunting dog. Responds well to gentle training methods. 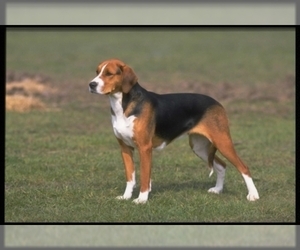 Activity: This breed, as many hunting breeds, needs plenty of exercise. A large yard and frequent walks are necessary. This breed won't do well cooped up in the house.